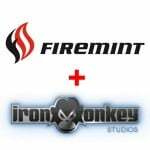 By aligning the strategy of IronMonkey and Firemint, EA is able to create an even more focused team of passionate individuals who are dedicated to developing high-quality mobile game experiences. ... Fans should expect to see progressive development efforts with upcoming launch and project announcements in 2012.